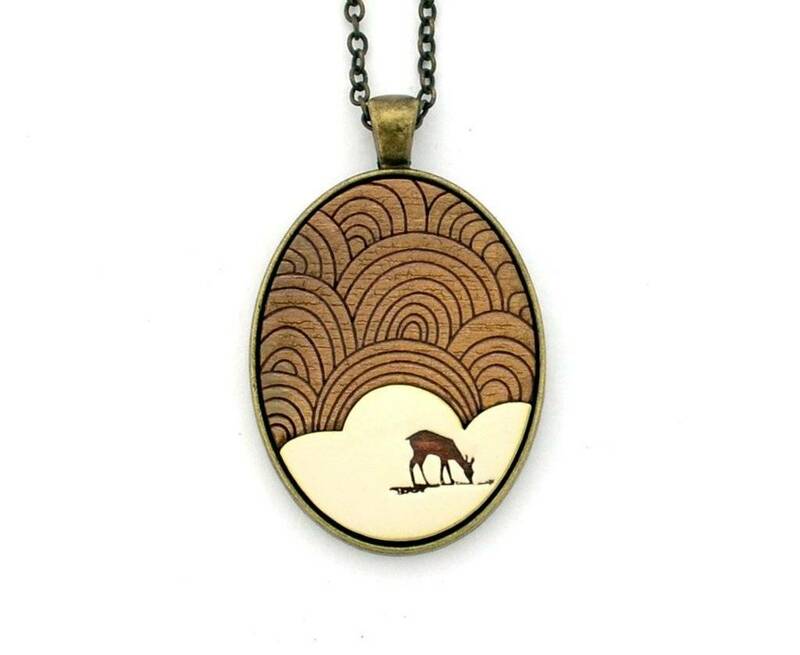 Oval necklace with deer on white background and swirling clouds. The gentle deer grazes on a white background with beautiful swirling clouds overhead. This necklace was designed using original drawings and is part of the "Geometric Nature" series. Made in Kelowna, BC by Ugly Bunny, each piece is made using a laser cut and etching technique, sealed water resistant finish, and set into an antique brass cabochon setting. Each pendant is made with wood and antique brass, measuring 30mm x 40mm and is hung on either a 30" or 31" chain.